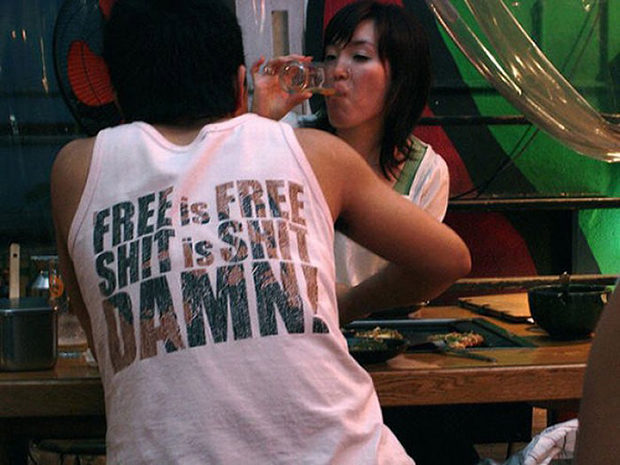 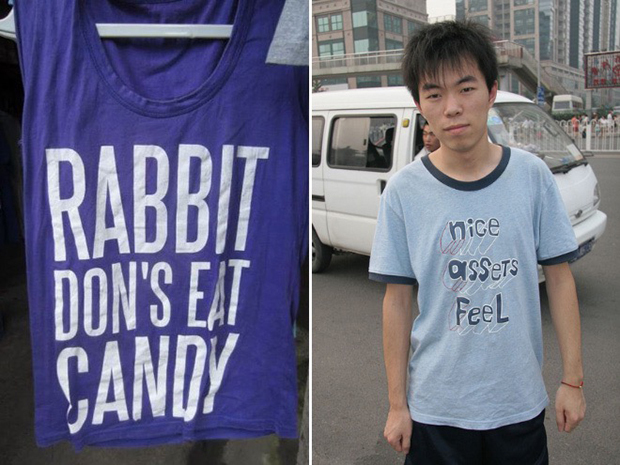 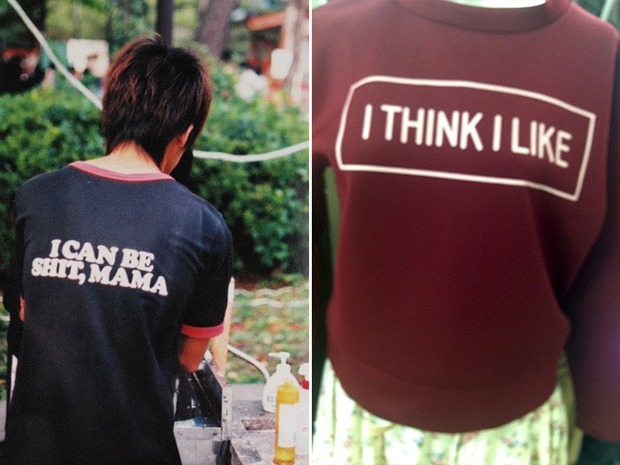 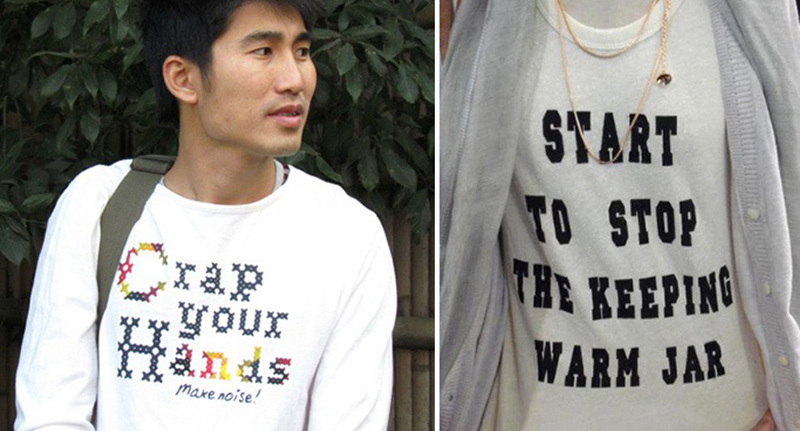 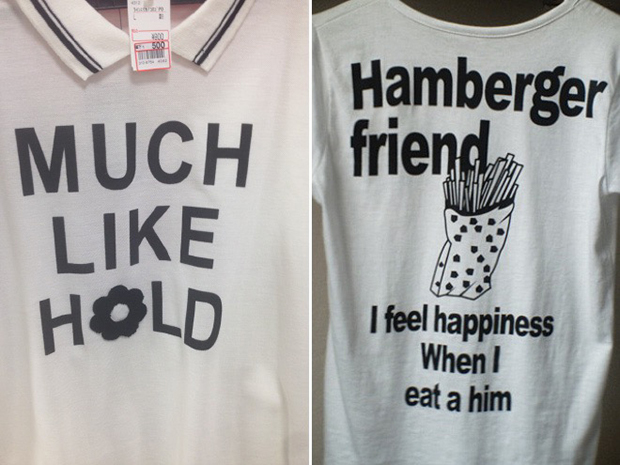 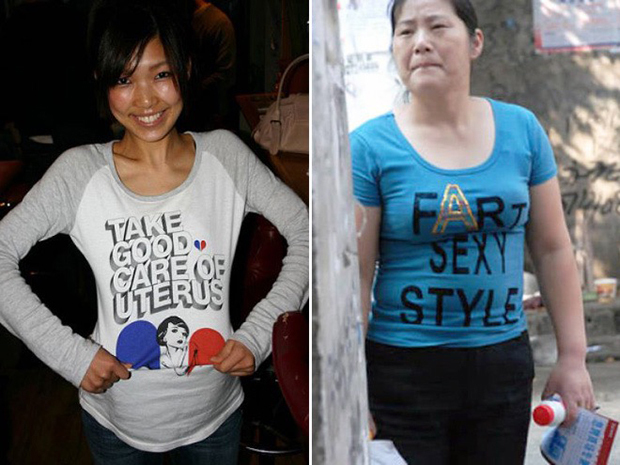 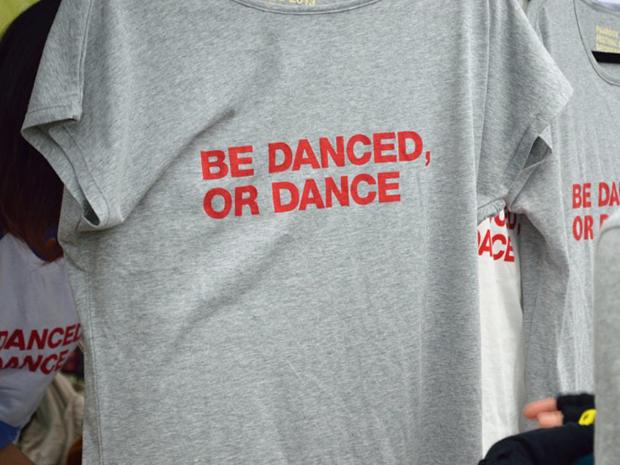 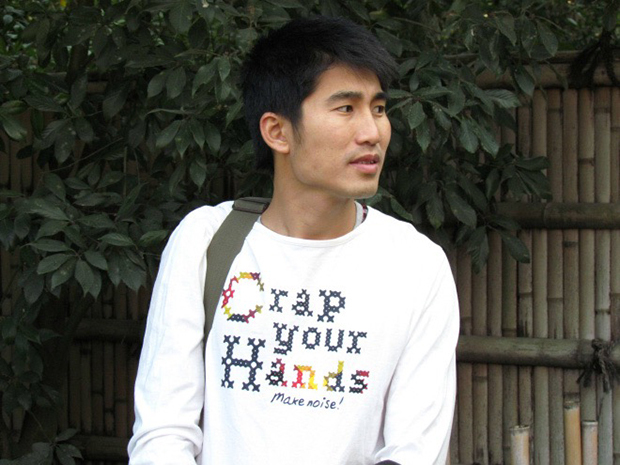 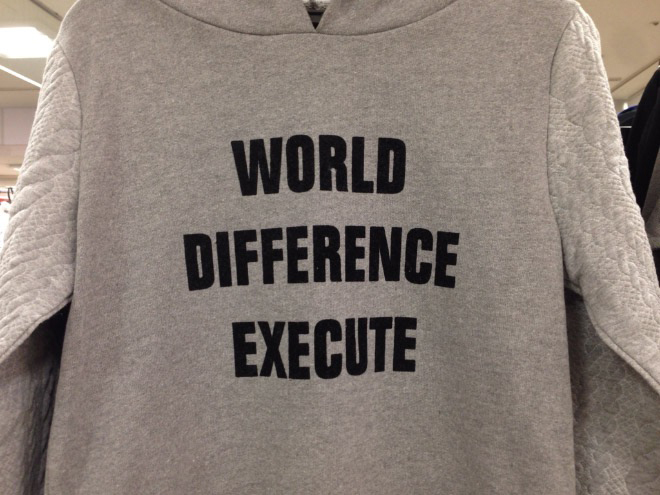 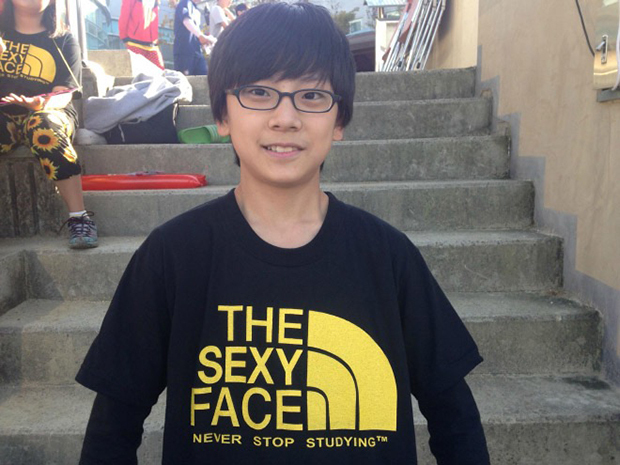 21 Hilarious Poorly Translated Asian Shirts. 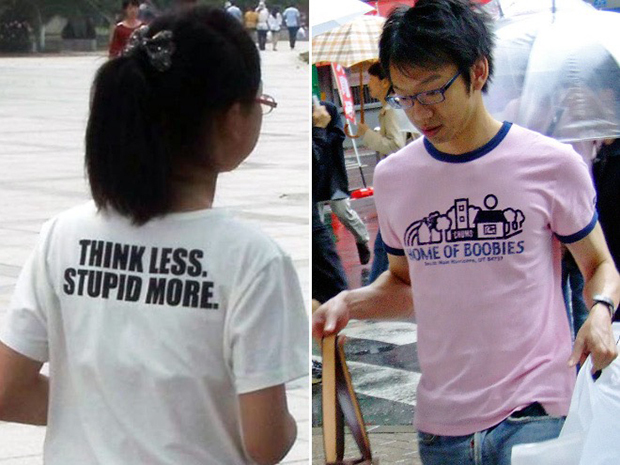 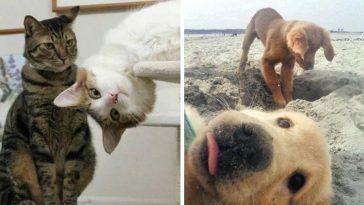 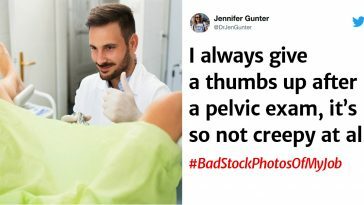 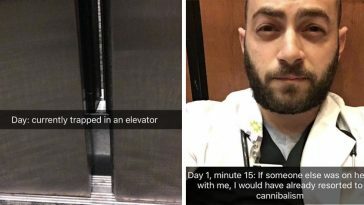 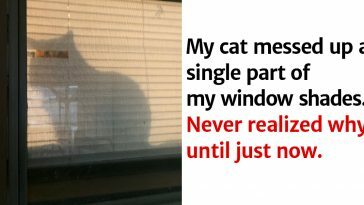 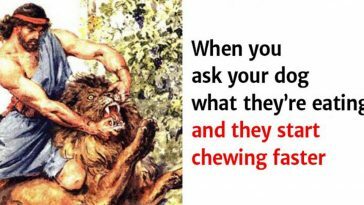 #8 Is So Wrong It Hurts! 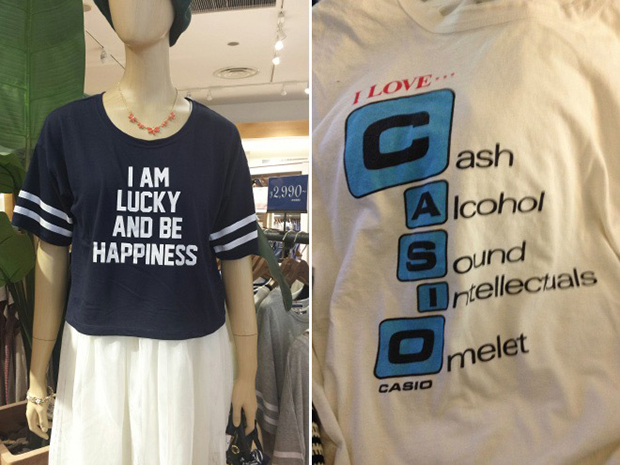 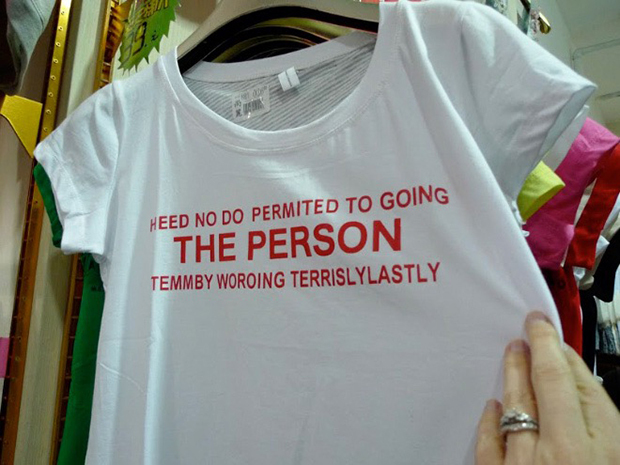 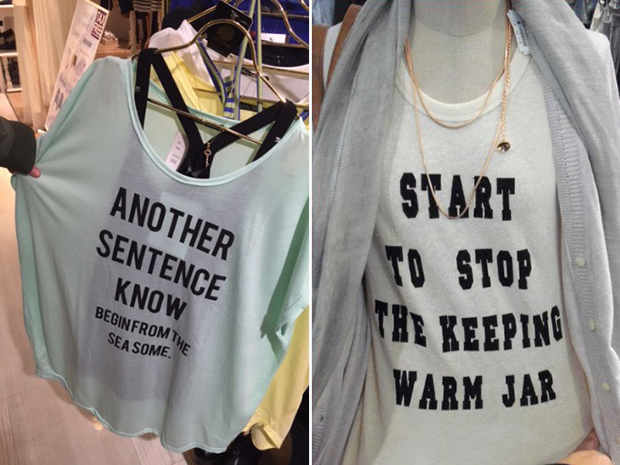 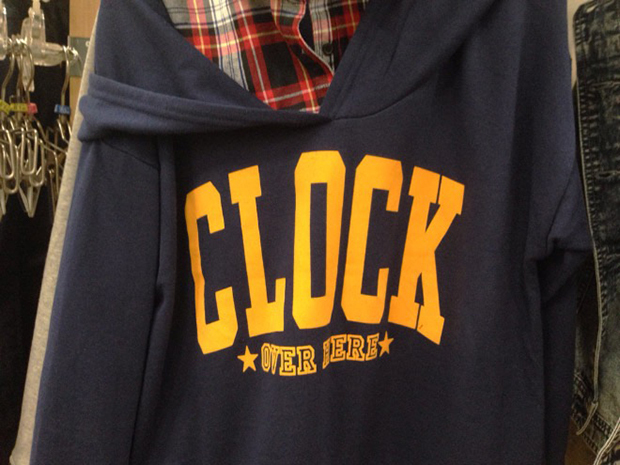 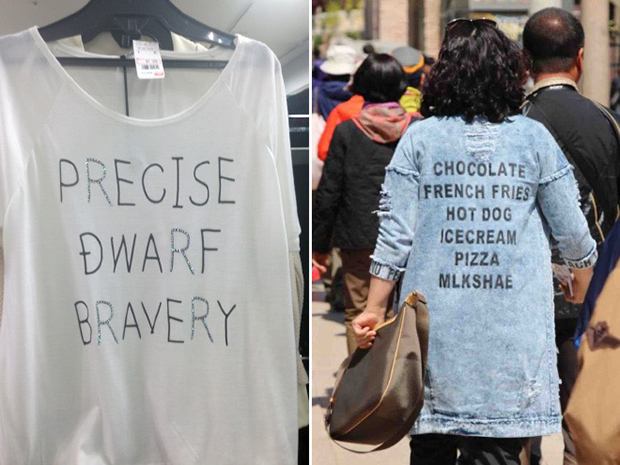 It looks like shirts with English words are a biggest trend right now in Asia, and would be a nice thing, except for the fact that the meaning of what’s supposed to be written on those garments is totally modified by a really poor translation. 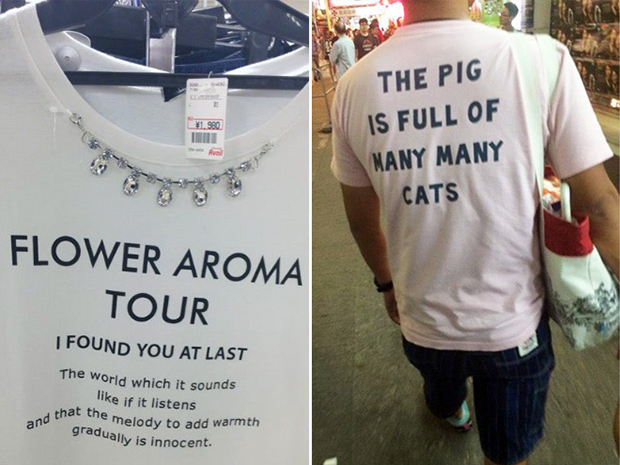 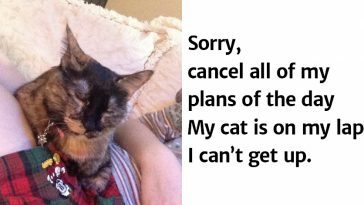 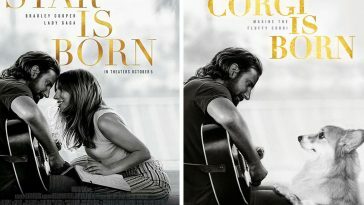 Luckily for us, the results of these translations are totally hilarious. 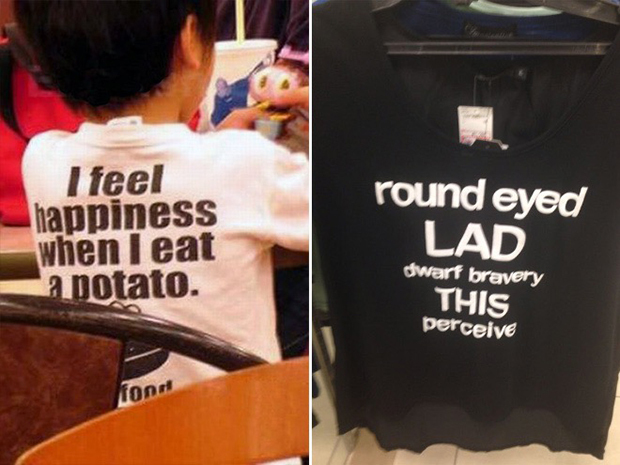 Just imagine what you’d think meeting somebody wearing a shirt with the sentence “I feel happiness when I eat a potato” written on it. 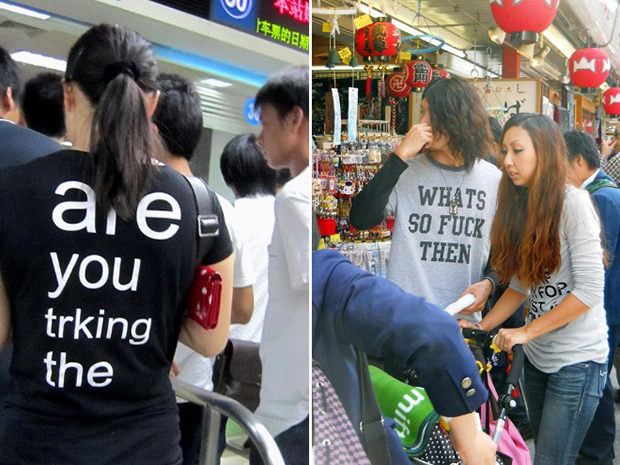 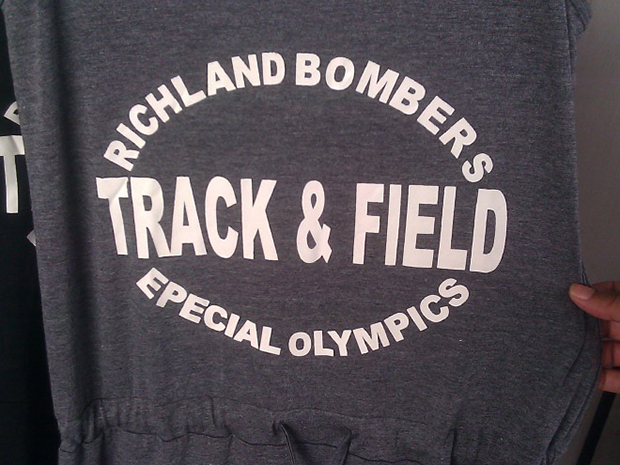 On the other hand, I think about all those shirts with Japanese or Chinese characters people wear here. 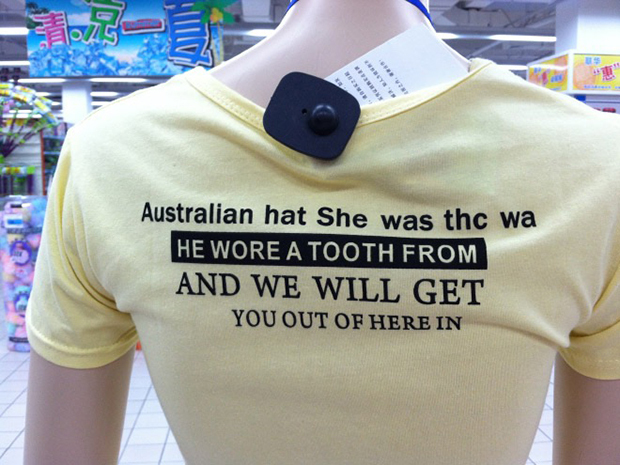 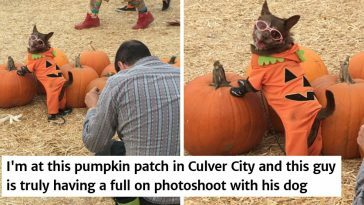 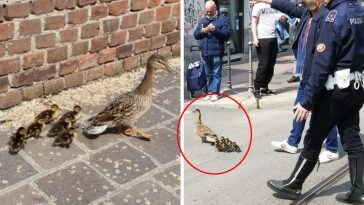 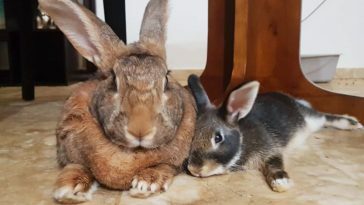 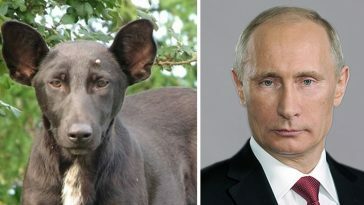 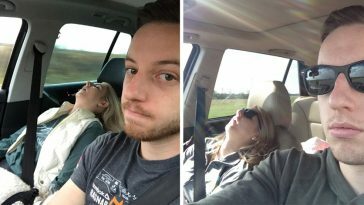 There’s probably somebody on the other side of the world making fun of them as well. 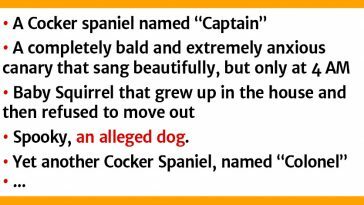 Share this post by clicking the SHARE button below!